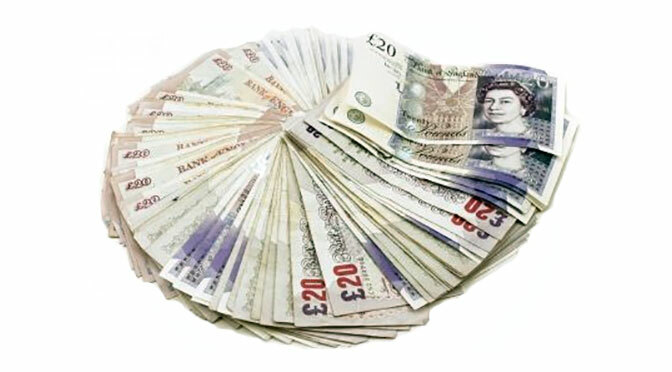 Home » Economy » Time to get rid of £20 and £50 notes? Two decades ago Harvard economist Ken Rogoff got the debate going over ‘cashlessness’ with an influential paper. He had heard that the EU was going to have a 500 Euro note and this inspired him to look into how currencies around the world were being used. The amount of cash notes in circulation is equivalent to the average American or European carrying around $4000 or Euros. The €500 note has even been nick named the “Bin Laden” because of its association with terror and money laundering. Rogoff explains that “the scale of tax evasion and crime in the use of these big bills is quite extraordinary” and argues that all notes over $10 or £10 should be abolished. If you have a case with $1 million in it, in $100 bills it weighs about 22 lbs but in $10 it weighs 220 lbs which is more than the average man weighs. Large denomination notes are simply helping criminals in the drugs trade, human trafficking and terrorism to conduct their business. This argument makes a lot of sense when you think of how rare it is to see in Britain a £50 pound note. Abolishing the £50 and £20 notes would not eradicate crime and money laundering, but it would make it much more difficult to hide and operate and increase the chances of the criminals getting caught. As well as the implication for crime, there would also be a big dent in tax evasion if you eliminated high denomination notes and became more of a cashless society. For example how much more difficult would it be to pay a plumber, builder or second-hand car dealer in hundreds and hundreds of £10 notes. In fact it is difficult to conceive why any large monetary transaction needs to be done in cash unless it is for tax evasion or crime. A cheque or bank transfer is so much easier than cash unless that is you have something to hide. If the Bank of England were to suddenly announce that they were going to abolish notes over the value of £10 within say 3 months, there would then exist the greatest opportunity in the history of mankind to catch criminals and tax evaders. If you combined it with some form of rules for banks on not being able to accept deposits from high denomination notes without documentation of where the money originated, there would be panic in the tax dodging and criminal communities. A final argument why the UK should abolish high denomination bank notes is that it would help the economy. The Bank of England has largely been unable to stimulate growth and inflation by cutting interest rates and they know if rates go any lower (ie into negative territory) this will simply encourage people to stick bank notes under their mattresses! Stashing money away won’t help the economy and would be a lot easier to do if there are handy £50 notes around. One in eight young people walk around without any cash on them and it is now common practice to pay with a contactless card or use a smartphone and the direction of travel is clearly moving away from using cash. The Bank of England even seem to acknowledge that we are becoming more of a cashless society in their very informative KnowledgeBank. Many predict that cash tills and mini printed receipts will soon disappear replaced by tablet style terminals linked to contactless readers, with e-receipts sent to your mobile phone. It would be a brave action for the UK Government to get rid of £20 and £50 notes and there would no doubt be a backlash from people like Mike Ashley who like to carry large amounts of cash on them. The benefits of making life more difficult for criminals and tax evaders would be tremendous and immediate so it is certainly worth thinking about! Perhaps someone should start a campaign!